Thinking about colour and its relationship to form design and background has filled my mind a lot lately. I went up to visit some galleries in London including the National Gallery last year and was struck by several of the paintings there. 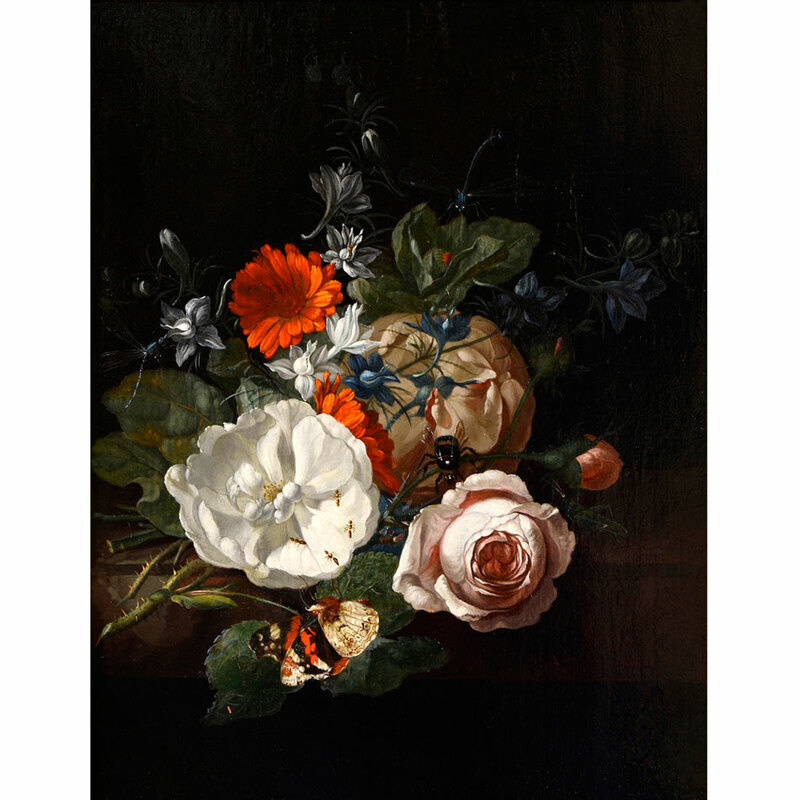 I am fascinated by the female Dutch painters of the 18th century and in particular Rachel Ruysch. 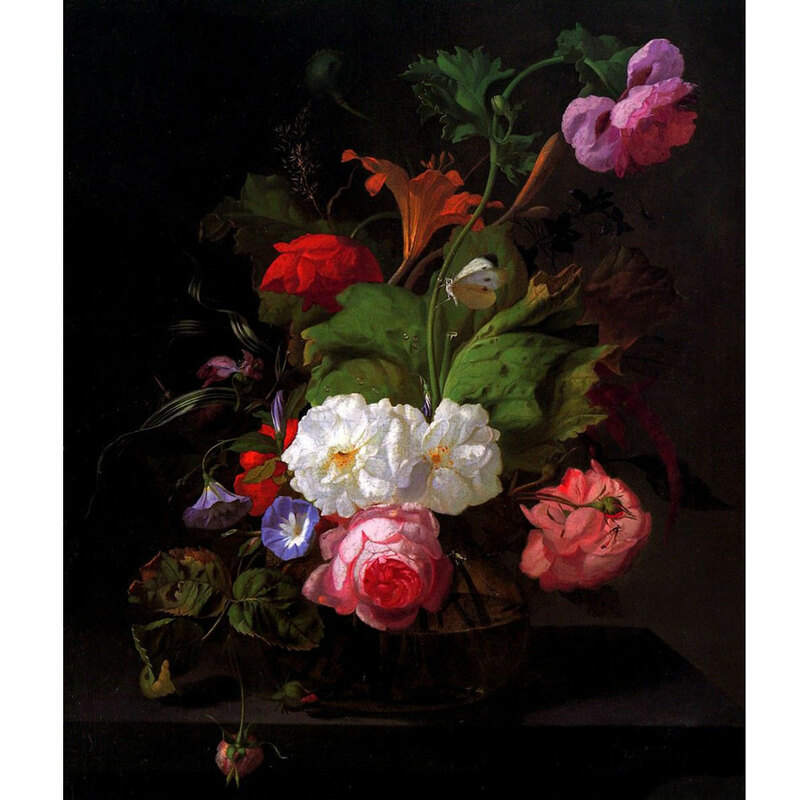 She created the most beautiful luminous works of still life which appear to leap out at you due to her expert use of light and dark. During this period women were not allowed to paint portraiture or attend still life classes as this was viewed as unfeminine and an activity purely for men. Thank goodness times have changed for female artists of today. Read more on the National Gallery website.